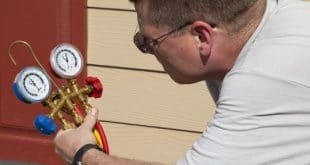 Home / HVAC Technician / What Is An HVAC Technician? When the air conditioning goes out in an office or the heating system in the factory isn’t working correctly at a school, HVAC technicians repair the equipment that controls the climate and temperature. Also called Heating, Air Conditioning, and Refrigeration mechanics and installers, HVAC technicians install, test, and maintain heating, air-conditioning, and refrigeration technology in homes, businesses, schools, and other buildings. The equipment not only provides a comfortable environment for building occupants but may be critical to preventing food, medicine, and other perishables from deteriorating, particularly in warehouses and factories. Among the duties of technicians is to read and understand instructions, specifications, and blueprints for HVACR systems. They may recommend the best ways to use and place such devices. They install machinery as well as its controls and electrical wiring, and connect systems to water or fuel supply lines, venting, and other parts. They test equipment to ensure proper function and repair parts that are defective or worn out. Due to the growing complexity of HVACR systems, HVAC technicians generally require post-secondary training from trade and technical schools to enter their profession. Such programs may last from six months to two years and award certificates or an associate degree. High-school students who are interested in this career may find courses in math and physics helpful. Although less common nowadays, some technicians learn their skills on the job. They typically assist more experienced professionals with their tasks and then move on to more complex procedures. They may also join an apprenticeship program that lasts from three to five years. Each year demands about 144 hours of classroom education and 2,000 hours of on-the-job training. To enter apprenticeships typically requires a minimum age of 18, a high-school diploma, and the passing of a math test and drug screening. 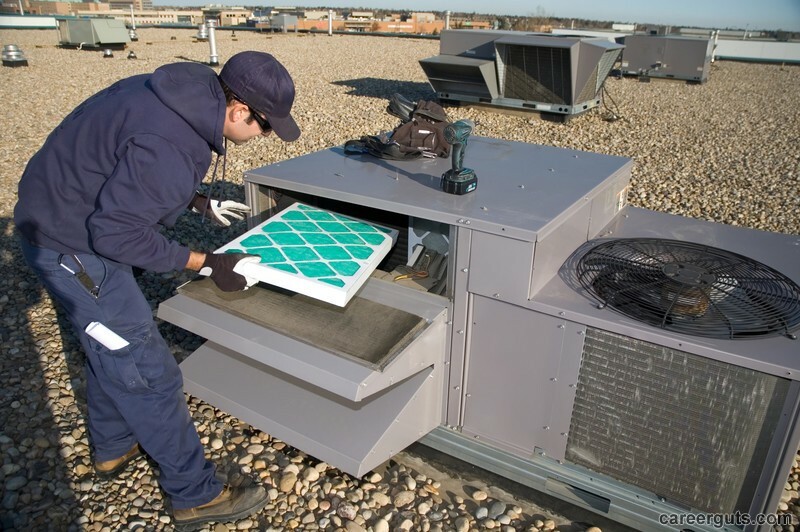 Important qualities for HVAC technicians include math skills for calculating load requirements for equipment, mechanical skills for manipulating tools and working on systems, troubleshooting skills for identifying problems and solutions, physical strength and stamina for moving heavy equipment and spending many hours standing, and people skills for dealing with clients and other tradespeople. The US Environmental Protection Agency demands that all technicians who work with refrigerants receive certification in refrigerant handling. Technicians must pass a written exam about small appliances, high-pressure refrigerants, or low-pressure refrigerants, depending on the technician’s specialty. Trade schools and unions offer training programs that prepare students for these tests. Additional certification is available for technicians who have at least one year of installation experience and two years of maintenance and repair expertise. Organizations that offer credentials include North American Technician Excellence with an Industry Competency Exam, the Refrigerating Engineers and Technicians Association with entry-level Certified Assistant Refrigeration Operator or Certified Industrial Refrigeration Operator, and the National Occupational Competency Testing Institute with basic and advanced testing. Certifications can make jobs easier to find or provide higher salaries at employers who deliberately look for people who have such documents. HVAC technicians earn an average of $45,910 a year, according to the US Bureau of Labor Statistics, Those at the lower 10 percent of the salary scale make under $28,440 annually while the top 10 percent make over $73,350 per year. This compares to a yearly salary of $43,440 for all installation, maintenance, and repair occupation, and $37,040 for all occupations in the country. Apprentices earn about half the amounts of more experienced workers. However, as they gain more experience, their pay also goes up. 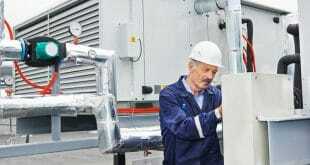 Most technicians work full-time with some projects requiring evening or weekend efforts. When the weather is extremely hot or cold, they may work irregular or overtime hours to keep up with the demand for their services. Although most works for construction contractors, about 10 percent are self-employed. According to the US Bureau of Labor Statistics, jobs for HVAC technicians are expected to increase by 14 percent from 2104 to 2024, which is more than double the 7 percent gain predicted for all jobs, and also more than the 6 percent forecast for installation, maintenance, and repair occupations. This job demand will come from the increase in residential and commercial building construction due to a growing population. In addition, HVAC systems typically require replacement after 10 to 15 years. More and more building owners upgrade their systems because they want to reduce pollution and increase energy efficiency in order to save money and meet environmental regulations. Many laws have come about prohibiting the release of older kinds of polluting refrigerants, which requires that existing systems be replaced or modified. Job opportunities for the profession are expected to be excellent, especially for technicians who have completed formal training at an accredited educational institution or through an apprenticeship. Those who are familiar with electronics and computer technology and who are excellent at troubleshooting should find the best prospects. Many employers continue to have difficulty finding qualified staff.